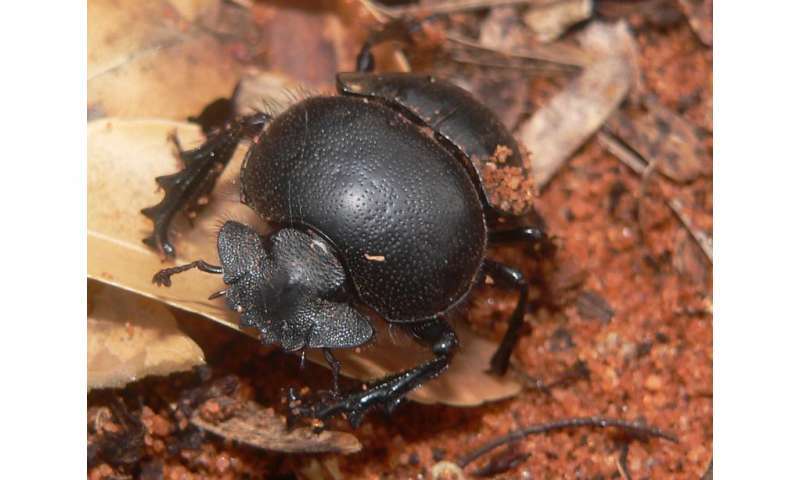 Dr. Bryony Sands, from the University's School of Biological Sciences, who led the research, said: "Dung beetles recycle dung pats on pastures, bringing the nutrients back into the soil and ensuring the pastures are fertile. Dr. Sands added: "It is now clear that long-term use of these pesticides could cause declines in beetle biodiversity on a large scale." Dr. Sands said: "Although these chemicals do appear to be less damaging, farms that used them still had a smaller proportion of certain dung beetles, which are very important in removing dung from pastures by burying it. Dr. Sands and her colleagues hope the findings of the study will go some way to inform farmers about the negative impacts of these pesticides – some of which now have specific warnings labels on the bottles.